Selling online with WooCommerce is super easy to do, if you are familiar with WordPress you should be able to activate the Free WooCommerce plugin and pick your settings and have a fully functioning eCommerce website up and running on no time at all. WooCommerce has many different plugins and themes designed for it which will then allow you to customize your shop to match your requirements exactly. WooCommerce is very easy to setup, once you have WordPress installed, you can simply activate the plugin and run through the setup wizard which will guide you through the basics of creating the store. Then you will need to add your products, this will be the lengthiest part of the setup as you need to add different images, specs, pricing, short and long description etc. If you are selling sports goods or clothing or fitness equipment, you are in a great niche for selling online. 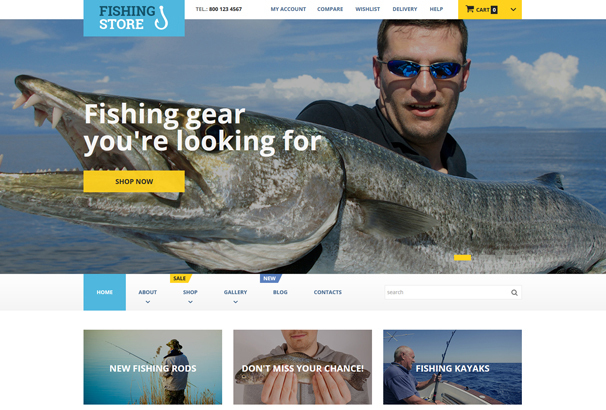 There are many different WooCommerce WordPress themes which have been specifically designed for sporting goods stores. 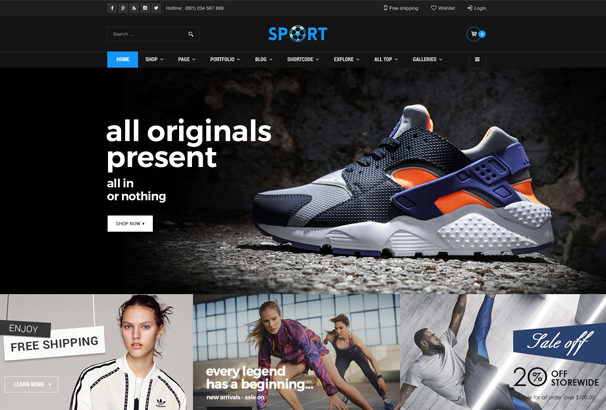 We have hand-picked what we consider to be the Best Sports WooCommerce themes available – take a look through our list below to find the perfect theme for your brand. When you’re planning to launch a sports website, you want to engage and amaze your audience as much as possible. 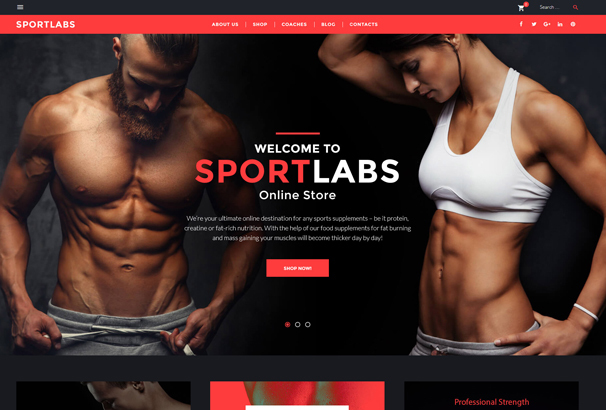 SportLabs is a completely modern, aesthetically polished, and functionally resourceful WordPress theme. It has been crafted to be a great website builder with an intuitive user interface, providing a feature-rich experience. This WordPress theme has the capability to help you build completely functional websites for selling sports-related articles. It comes packed with unique elements that can handle galleries and videos, calendar, blog, online store, portfolio, social options, audio player, advanced search, contact form, and newsletter subscription. 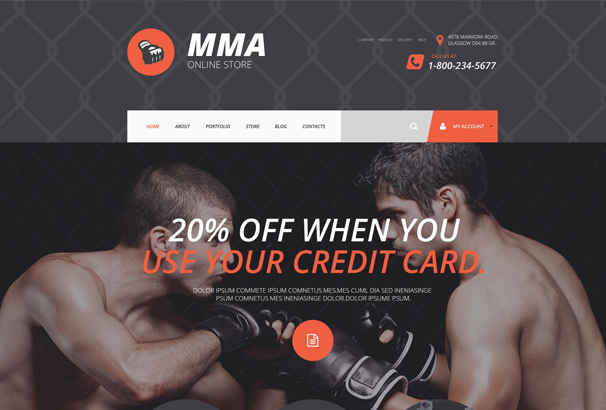 MMA WooCommerce theme is a modern and dynamic WordPress theme designed for all kinds of sports websites. In addition to Retina Ready images and full responsiveness, the theme provides a variety of customization features for showcasing your services and products. 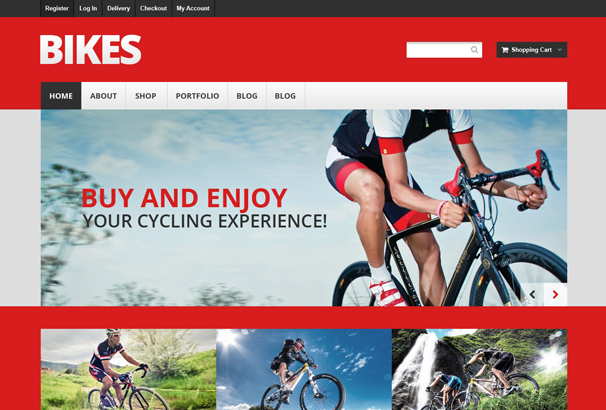 Bikes Store is a clean, bright WordPress theme that was specifically crafted to enhance the customer experience while navigating through your online shop. 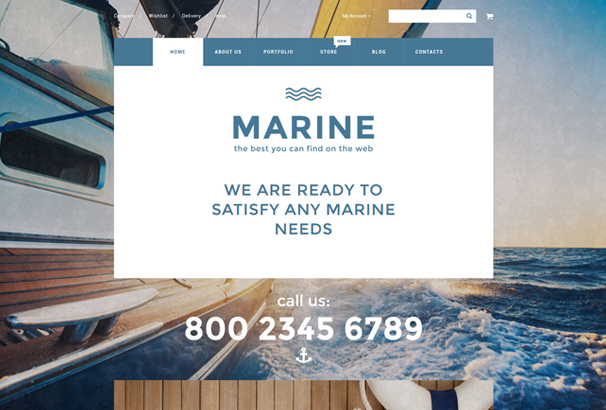 Marine WooCommerce theme is the ultimate easy to use builder for creating a gorgeous marine website. The theme includes multiple features such as 4 main layout preferences, 18 blog variations, 3 header designs, 3 portfolio templates, plenty of shortcodes, and unlimited colors. With the help of this beautiful WordPress theme, you can now launch your website in just a few minutes, with no coding skills at all. 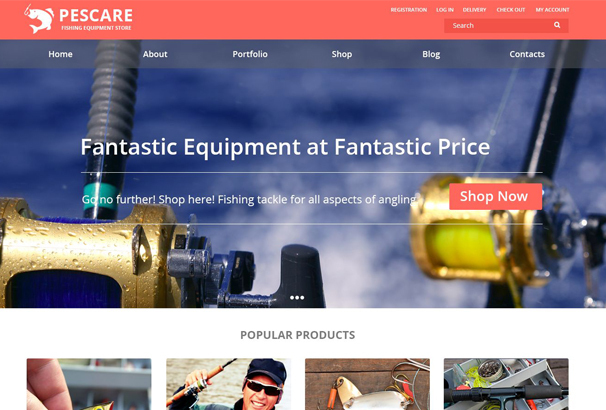 The theme features responsive design, WooCommerce, Parallax effect, social options, WPML, SEO, contact form, and newsletter subscription. 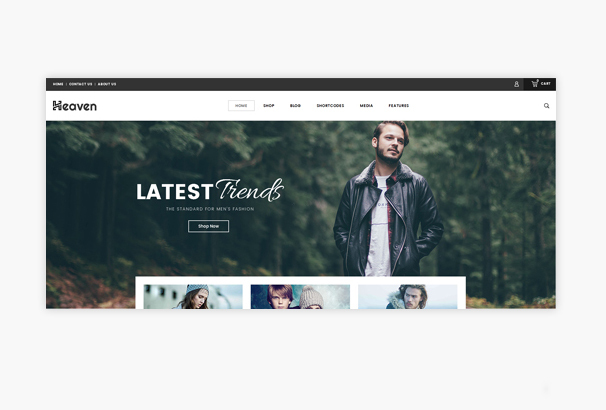 Thanks to its WPML compatibility, this theme is ready for a global audience.It enables you to showcase your most important information in a captivating way and it’s perfect for starting a successful eCommerce project. 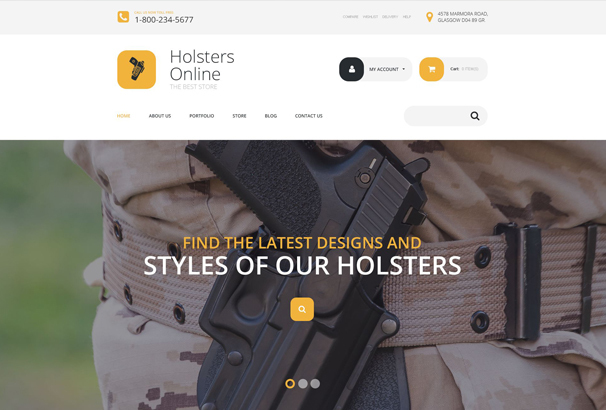 Holsters Online Store WooCommerce theme comes with an awesome set of tools for building a perfect online store. Its 2-step installation makes it very easy to set up, while its built-it customizer allows you to create tailored designs in just a few minutes. This one is an engaging and readily responsive WordPress theme that was specially built for helping you display your work using a simple, yet captivating design. It comes with full-width sliders, Parallax scrolling effect, newsletter signup form, colorful banners, social icons, shortcodes, and unlimited colors. 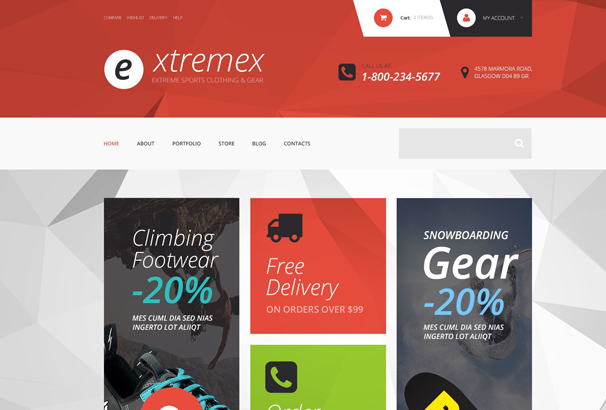 Extremex WooCommerce theme will help you launch a great online store specialized in extreme sports equipment. It is beautiful, functional, fully customizable, and intuitive. 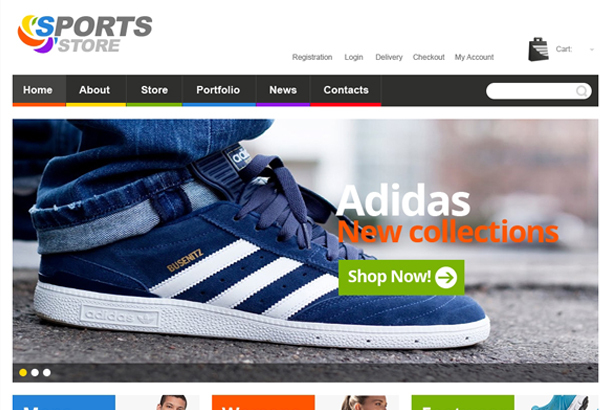 Sports Shop WooCommerce theme is remarkably flexible and reliable. The theme provides fully prepared tools that give you the opportunity to launch your online store from day one, requiring nothing but your products. 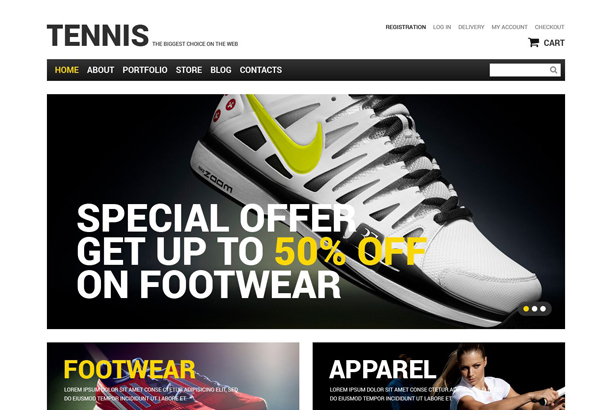 Tennis WooCommerce theme puts emphasis on e-shop and blog. 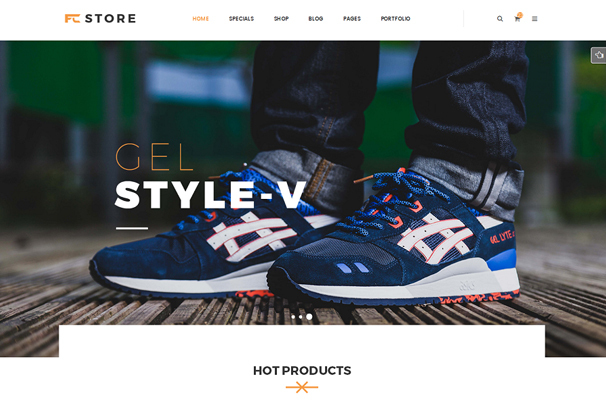 The theme was designed for accessories shops and sports apparel, it has seamless functionality and a wonderful set of tools, such as built-in theme customizer, custom widgets, filterable portfolio, various sliders, over 80 shortcodes, WPML, user registration, login form, and contact form. Experienced business professionals will always use high-quality WordPress themes like Fitness Store WooCommerce. This product is super pliable and easy to use. You will simply be amazed by its wide array of features: one-click installation, Visual Composer, 5 homepage layouts, 4 color variations, WooCommerce Ready, responsive design, quick view product, multi-currency, multi-language, custom widgets, wishlist page, social options, and more! 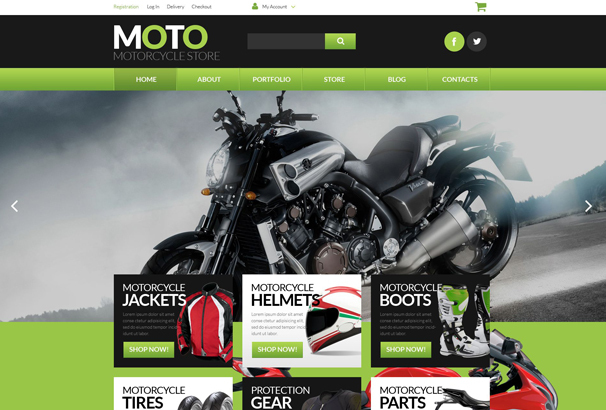 Motorcycle Store WooCommerce is an impressive theme, designed to fit any sports-related online store. It is packed with an absolute attention to detail, a simple navigation, and a flexible framework to let you set up your online store quickly. 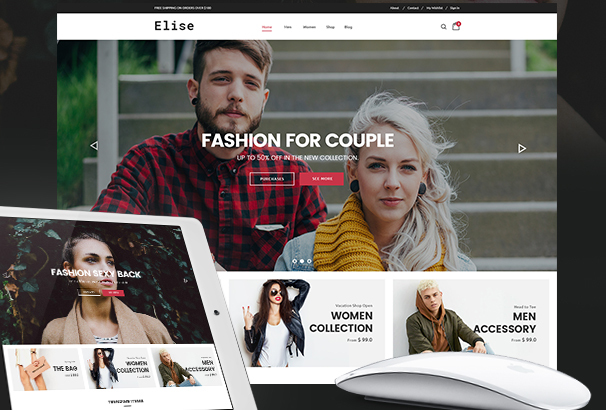 This theme has a thoroughly optimized coding that deploys the greatest multimedia technologies and resources, all coordinated through a modern design, specially crafted for building amazing online stores. 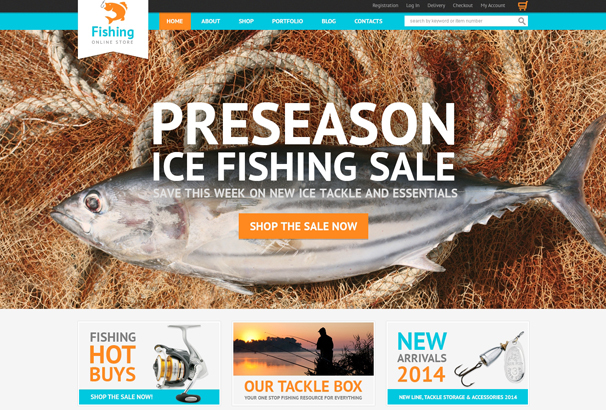 Consumers do not appreciate slow and unattractive eCommerce websites. 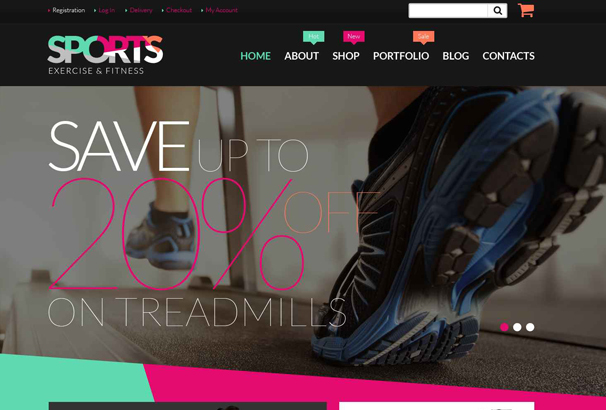 Thankfully, the Fitness Equipment WooCommerce theme shuns both of those traits. This builder has fast Parallax effect, modern and fully editable designs, fantastic sliders, background videos, and awesome support. 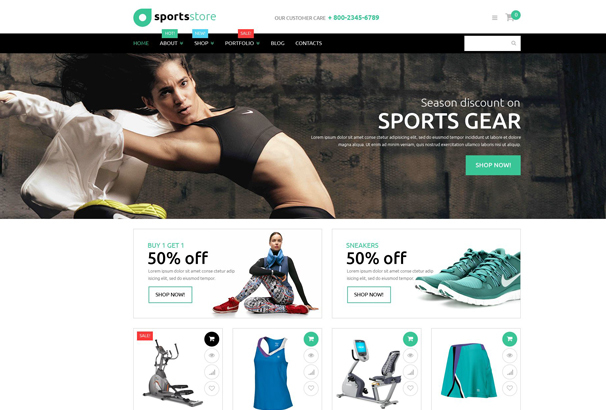 Sports Apparel is a clever and responsive WordPress eCommerce website theme. Its geometric pattern designs make it trendy and attractive, while its powerful features allow you to craft your own styles within minutes. 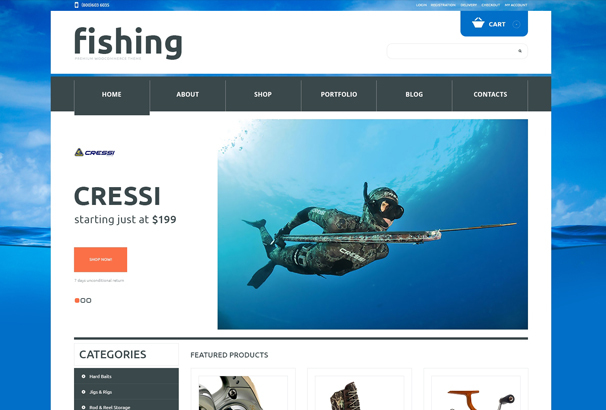 Hobby Fishing is readily adaptable, rapidly responsive, and amazingly modern WooCommerce WordPress theme. It has a full range of features, colorful buttons, contrasting elements, banners, and newsletter subscriptions. 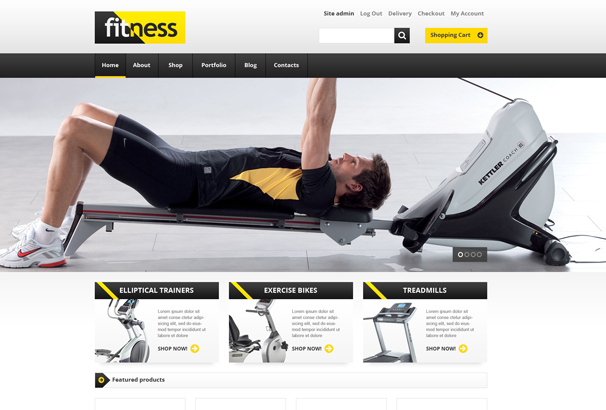 This theme has a sylish mix of black and yellow and it’s perfectly suitable for fitness equipment stores. Training Equipment packs fully editable layouts and amazing sliders to help you keep your audience up to date with your latest promotions. 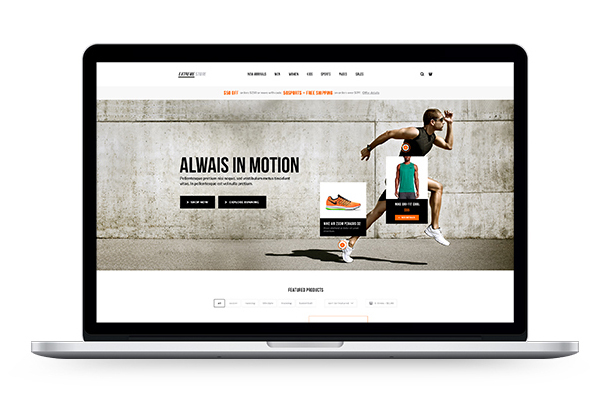 With Sport Store, you can set up your online shop really fast, without having to write a single line of code. You will be able to customize your users’ experience in a myriad of ways, using powerful visual statements and attractive customer interfaces for selling your products. 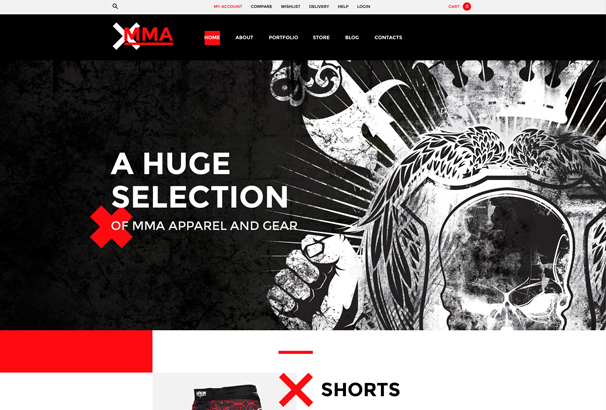 If you’re searching for a brilliant eCommerce WordPress sports theme, don’t look further than Extreme Store! You will find it soothing and sleek, with lots of pre-designed page layouts to display your main products and promotions. This theme is amazingly well done! Its powerful framework is built on the latest CSS3 & HTML5 technology, providing greatly improved tools that give you the best customization experience. Sportexx comes with an easy drag & drop page builder that allows you to arrange and design pages without touching a single line of code. 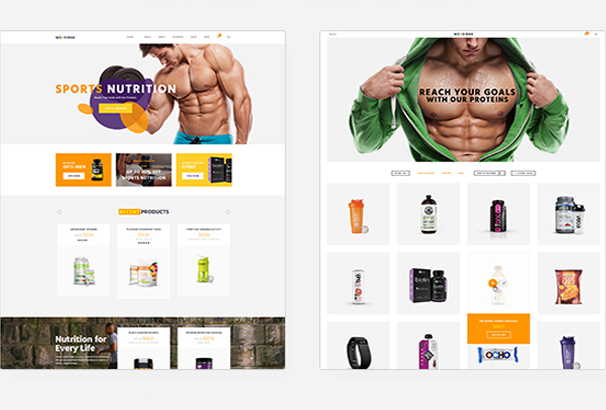 It is suitable for all kinds of gyms, fitness, and sports stores as it offers 5 homepage variations, 2 header styles, 2 background variations, unlimited color options, over 600 Google fonts, translation, wish list functionality, and product comparison. 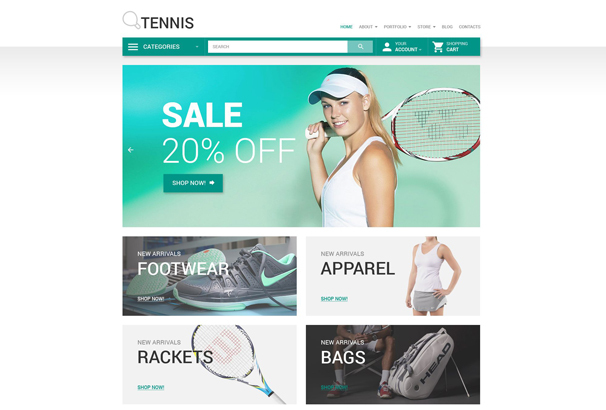 Heaven is a well-designed eCommerce theme that was made for sports stores but it can easily adapt to any kind of online shop. If you want to build a professional website you will appreciate its innovative features and the fact that you won’t need to create everything from scratch. FcStore provides a smart framework, allowing you to boost speed and focus on making your quest as smooth as possible. This theme comes with an intelligent Visual Composer that helps you manage your content in the easiest way possible. It also includes SEO plugins, MailChimp, and WPML. This is an adaptable WordPress theme, capable of providing you with advanced features, resourceful shortcodes, and theme options that are suitable for both general purposes and niche market applications. 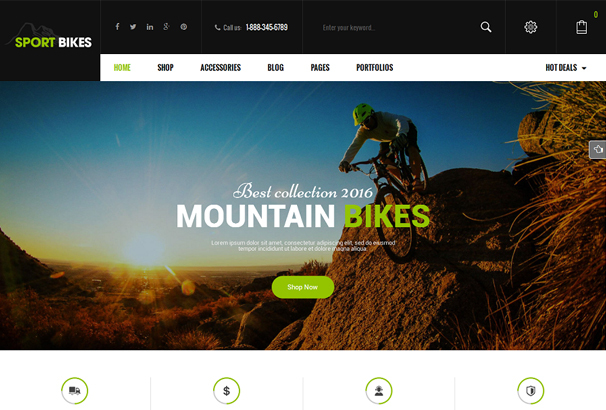 SportBikes allows you to build a great online store with utter ease, using various pre-built designs, homepage layouts, color variations, integrated Google fonts, quick view product, and much more! 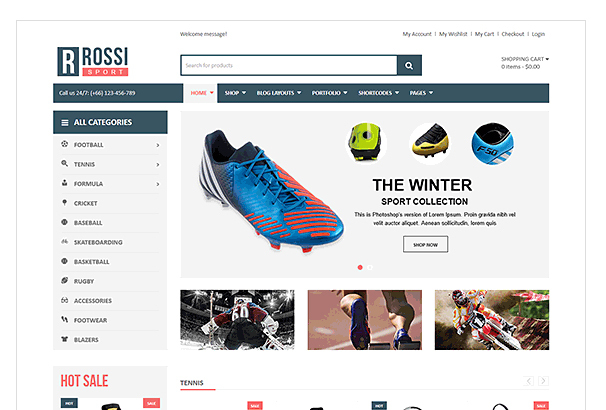 Exclusively designed for sports retailers, VG Rossi will improve your overall website’s navigation, allowing you to create presentable slideshows of your products. 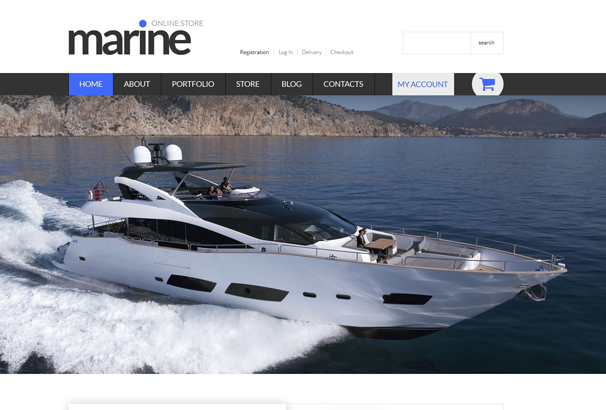 WDOutLine is a full package website builder that has been highly appreciated for its flexibility and tech-savvy interface. 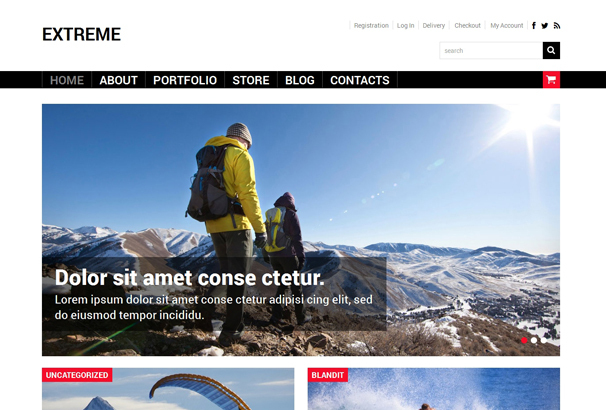 The theme includes advanced features: 10 different homepage layouts, unlimited colors, WooCommerce, Revolution Slider, translation, widgets, shortcodes, Google fonts, Google map, background Parallax, and much more. 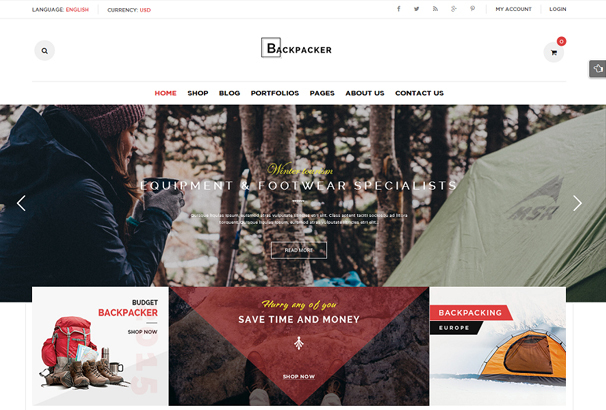 BackPacker is a fresh-faced and dynamic WooCommerce WordPress theme that is SEO optimized and WPML compatible. You will get multiple PSD files included, Visual Composer, 3 homepages, color styles, responsive design, menu styles, quick view product, add to cart, various blog layouts, and amazing support. 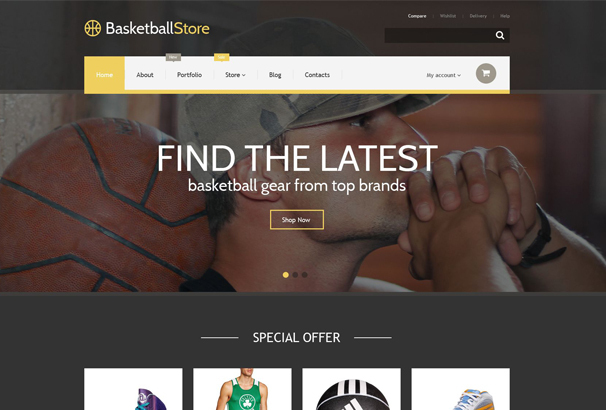 Basketball Store is the simplest way to accomplish that polished, seamless finish of quality websites out there today. Featuring a fast one-click installation process, multiple page layouts to save you time, and highly flexible customizing options, the theme is a great solution for building successful online shops. 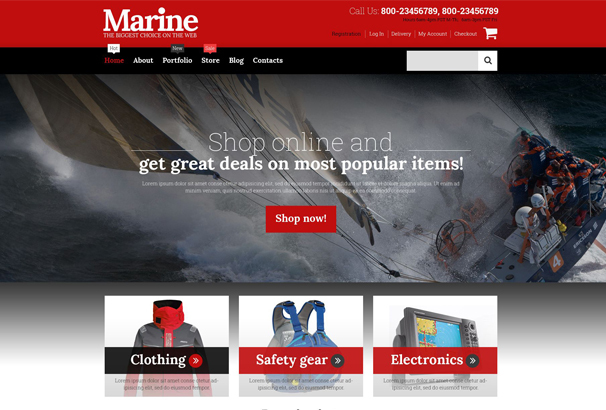 Marine Shop is an entirely customizable WooCommerce WordPress theme that was conceived as an extensive solution for online retail business websites. It is bundled with attention-grabbing slideshows and video integration. 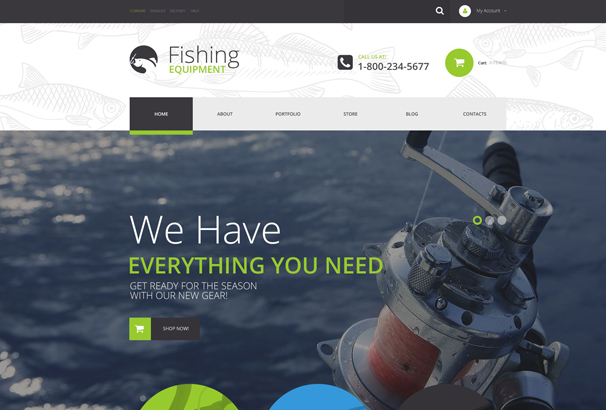 This theme is designed to provide flexibility, high-resolution visuals, responsive design, and a visually pleasing user experience. Fragrant Smoke is ideal for online shops as it comes with tabbed navigation, multiple sliders, custom widgets, SEO, portfolio, and WPML. 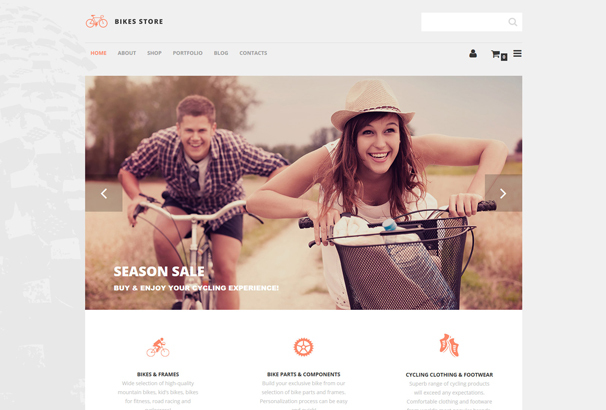 Bikes is an interesting theme, created entirely for online shops. It has dark backgrounds and bright yellow elements that makes it engaging and charming, helping you showcase your products in a captivating manner. The theme is capable of handling a wide range of needs, combining settings configuration, customization options, and layout crafting, in a single, powerful, intuitive interface. 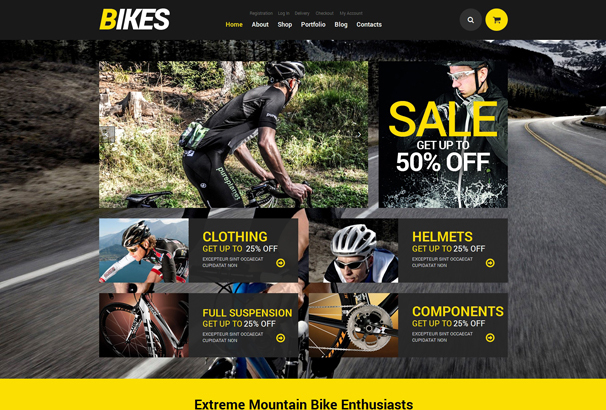 If you are looking for a website builder that can help you launch a great cycling equipment store, then Mountain Bikes might be suitable for you. It is packed with plenty of features: built-in theme customizer, custom widgets, various sliders and colors, portfolio, WPML, SEO, and free updates. 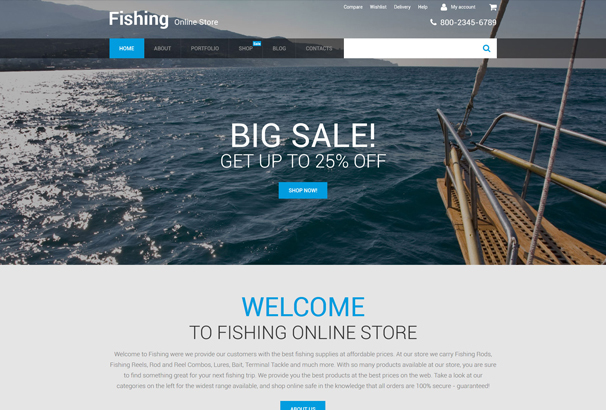 Fishing comes with a powerful Cherry framework, online store/shop, portfolio, contact form, audio player, video integration, cross-browser compatibility, Google maps & fonts, drop down cart, tooltips, calendar, and much more! 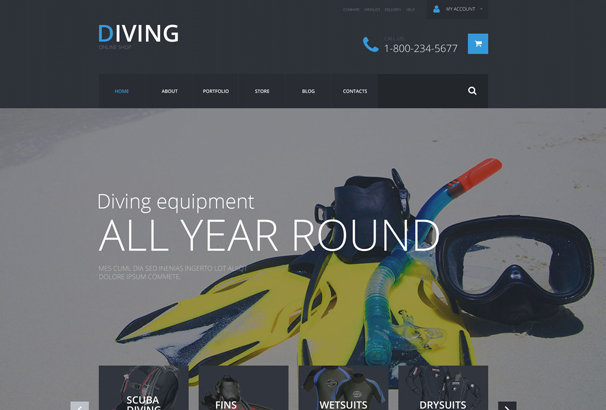 Extreme Sports packs a powerful set of options and plugins that will simplify your website building experience, providing eCommerce variants for both single-product stores and multiple-product stores. Sport Life is extensively polished to suit each and every eShop need. Its purposeful set of tools will help you succeed in terms of audience and revenue. 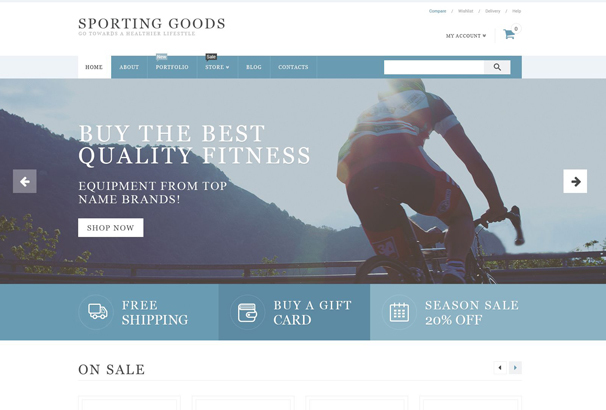 Sporting Goods has everything you need to create a super fast and responsive WooCommerce website. Its revolutionary page builder and unlimited options give you the opportunity to create anything without coding. This theme will help you put your products in the best light. It’s reliable, versatile, fully customizable, and it will save you tones of time.